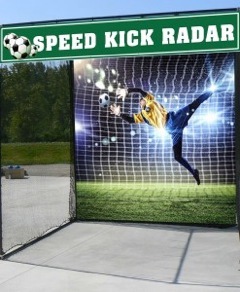 Nothing measures speed better than the Pro II Stalker Radar Gun. Whether it is for baseball, car racing, watercraft or other sports, just aim and pull the trigger. 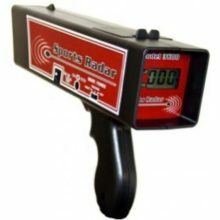 Within 10-milliseconds, the Pro II Stalker Radar Gun gives you an accurate speed between 1 and 890 miles per hour. This gun was designed for professional baseball, with 15 years of scouting experience built into every unit. Customized software, sophisticated algorithms and the world’s most sensitive transmitter/receiver make the Stalker Pro II accurate to 0.1mph, within a 300 ft. range. 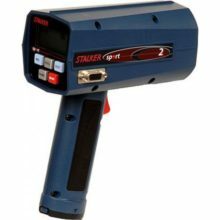 Other applications that Pro II is utilized for is low speed readings , making it ideal for fork lift speed for safety in the warehouse as well as many other low speed reading required uses. Track ball speed, plate speed, pitcher release speed, batted ball speed and even the base runner velocity. Adjust the sensitivity to 4 custom levels and read it all on an LCD display, viewable in any lighting conditions. The rugged cast-metal exterior makes the Stalker Pro II weather resistant and it’s waterproof to a depth of 2 feet. Rechargeable 7.2 lithium batters offer over 2 hours of use. The Stalker Pro II is versatile, at home on the baseball diamond or the race track, the beach or on a boat. The gun, battery, charger and manual all fit inside the included hard shell carrying case. 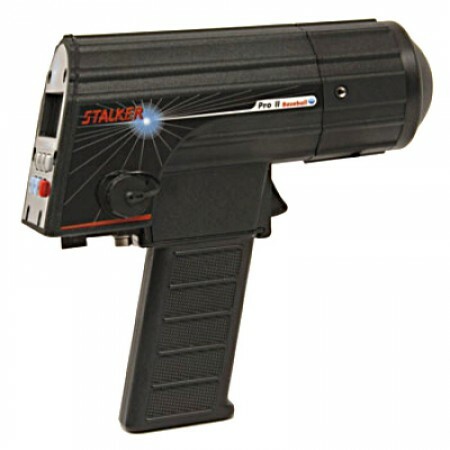 If the question is how fast it’s going, the answer is the Pro II Stalker Radar Gun. Maximum Speed Errors vs Speed and Signal Strength. Verified Speed Measurement.To verify accuracy during development, Stalker engineers used a commercial ballistic chronograph to precisely measure pitcher release speeds. They tested the Pro II against the industry standard Stalker Sport and Stalker PRO models, the second-generation Sport 2 and Solo 2, as well as competing radar products.While testing, engineers found that all Stalker products measured ball speed consistently, but there was a big difference between us and them. They found that the other baseball gun reads release speeds from 1-3mph up to 5mph faster than the actual release speed. Why compare apples to oranges? Choose any Stalker Radar, and it’s always apples-to-apples.Naturally, the Pro II displays speeds in MPH or KM/H, in whole units or tenths. And the Pro II is actually waterproof to a depth of 2 feet. Caught in a spring training shower? 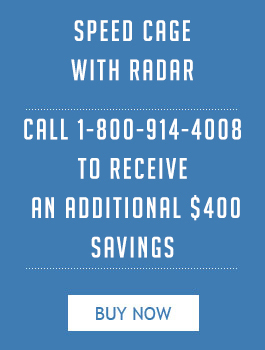 No worries.The 34.7 GHz Ka-Band Doppler radar is powered by a rechargable 7.2-volt lithium-ion battery handle capable of powering over 2+ hours of nominal use. Both the Liquid Crystal Display and the six snap-action buttons are backlit to allow use in any lighting condition.Tracks Batted Balls Too Specifically designed to measure pitching speed and time base runners, the Pro II’s new direction-sensing capability enables it to measure the speed of the batted ball. The two speed windows and 5-digit status window display speeds and other information in a straight-forward, easy-to-understand format. A speed range of 1-890 MPH with a user-selectable low-speed cutoff allows the user to exclude other moving objects that might interfere with baseball speed readings. Low battery indicator, 1200-to-38.4k baud serial interface, Stopwatch Mode (with optional cable), and the choice between whole units or tenths put the Pro II at the top of the order. Designed for the Major League Scout. Ideal for Pitching and Hitting Coaches. Direction Sensing – measures speed of pitches, hits, or both. 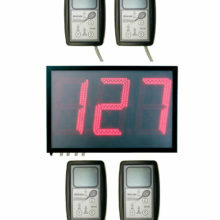 Simultaneously measures various ball speeds and times pitchers/runners. Removable 7.2 volt, 2400 maHr Li-Ionbattery handle. Waterproof to 2 feet depth. 2+ hours nominal transmit time. The LCD and the 6 keys are backlit. 2 speed windows, 5-digit status/speed window. Ball sensitivity rising above all previous guns – 300 feet. 1-890 MPH ball speed range. Stopwatch mode (with optional cable). Displays speed in whole units or tenths. Adjustable sensitivity and low speed cutoff. Continuing tracking with Peak speed locked. FREE SHIPPING WITHIN THE CONTIGUOUS US. Extremely reliable product. 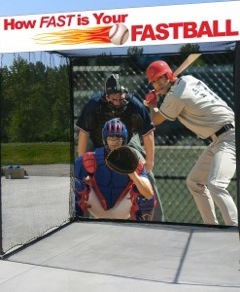 Great for college wood bat leagues or pro scouting. Unmatched range and accuracy. As the head coach of DII college team, I can attest that this gun is the best in the biz. I’ve been coaching 25 years and haven’t come a product as good as this one. Another Stalker product that exceeds all expectations. I’ve coached in Florida for over 10 years and this brand has delivered since I started. Solid buy. Most accurate gun I’ve ever used. I was able to pick up puck speeds from the side of the rink with ease. 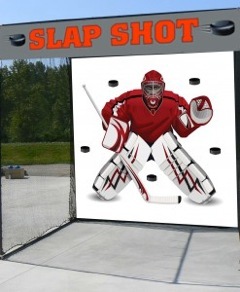 Quality hockey radar gun right here. Stalker delivers the best guns for all sports. I coach hockey in the winter and baseball during the spring. This gun comes with me all year-round and does the same top-notch job every time. I coach high school hockey in Minnesota and was actually recommended this product from another coach. I am blown away at how accurate this thing is. Awesome buy. MEASURE TENNIS SERVE SPEED WITH THE NFSC II OR THE NFSC IV. The most affordable an accurate tennis speed measuring device. Install on any tennis court with ease to provide accurate serve speed measurements. The NFSC System installs on both indoor and outdoor courts providing feedback for both players and fans to easily view on the Bright 8″ LED Display board with ease up to 300 feet away. Choose between 2 or 4 radar units.